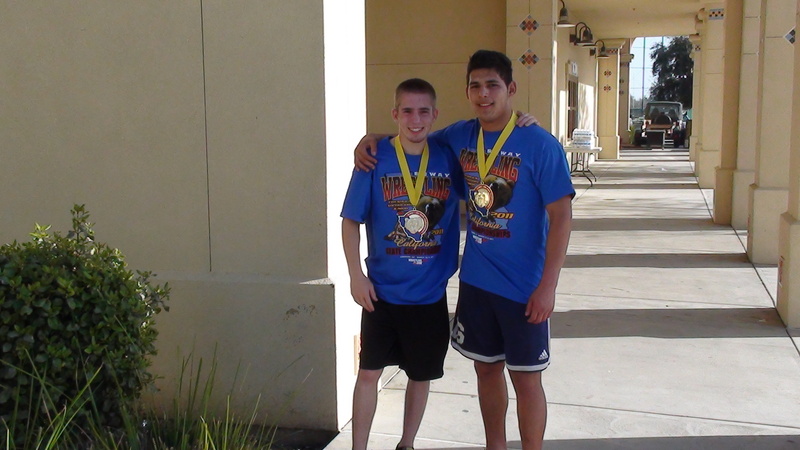 A big congrats to three Capo wrestlers for competing in some *tough* tournaments over the weekend. Zane Coley competed in the USA wrestling F/Soph state tournament, going 2 and 2 at 103 lbs, while Christian Hauser and Juan Hernandez both placed third at the SCWAY F/Soph/Jr. state tournament. This is what it’s all about guys…seeking out tough competition in the spring and summer. This will pay off come winter time. Keep up the good work. *Wrestlers must purchase SCWAY card on-line at SCWAY.org for $17 or cards will be available at the tournament sites for $20. *There will be a Frosh-Soph Folkstyle Bracket (pooled weights in 8 or 16 man brackets when available) and a High School Varsity Bracket. There will also be a mat for “Free” freestyle and Greco-Roman exhibition matches whenever possible. Cost $10 for first weight class and $5 for second weight class. March 26 Newport Harbor High School–come for the tourney, stay for the beach! ***As previously posted and discussed, the coaching staff will “sponsor” five of these tournaments. What that means is a) all coaches will be in attendance at these five tourneys, and b) everyone is expected to wrestle in them, unless in a spring sport or prior *major* unavoidable conflict (birthday parties, beach day, “lots of homework”, for example=not a valid excuse. College entrance exam, etc=weeeeelll….ok 🙂 ). Wrestlers are encouraged to and may wrestle in the other tournaments, but these five are big ones. Which ones of the dates above are part of that five is TBD. We will get that info out as soon as possible. *AND: remember–to get on the poster for next year, you must wrestle at least 50 matches over the spring and summer. That means wrestling lots more than just those five tournaments. You are highly encouraged to go to El Dorado this weekend.